Tag Archive | "Blythefield Hills Baptist Church"
Shelby Laurence Reyburn was born on October 15, 1932, son of Shelby John Reyburn and Edith Burnap. He passed away quietly in his sleep Saturday, March 10, 2018. Larry graduated from Cedar Springs High School in 1950 and worked as a cashier for Meijer. He attended Davenport College in Grand Rapids before being drafted into the US Army. After basic training at Camp Atterburg, Indiana, he served as infantry in Korea, attaining the rank of Sergeant First Class. He married Janice Evelyn Blaesi on June 17, 1955. In 1956 he entered the State Police Academy in Lansing, Michigan, and after graduation served at Ionia, St. Ignace, and Ithaca as a trooper. He was promoted to Detective in 1969 and assigned to State Police Intelligence in Lansing. After his promotion to Detective/Sgt in that unit he transferred in 1972 to the Fire Marshall Division in Lansing. He was promoted again to Detective/Lieutenant in 1980. In 1981 he transferred back to the Intelligence Division and organized the W.E.M.E.T Drug team for West Michigan. Larry retired from the State Police in 1982. Farming was always close to Larry’s heart. He bought the family farm from his parents in 1968, grew apples, and moved there in 1976. When he retired, he and Janice entered the flower business, growing, drying, and marketing dried flowers, which they did for 20 years, as well as 2 acres of pumpkins. He grew a beautiful garden for family and friends, using it as the opportunity to work with his four grandsons who lived next door, training them to work hard and teaching many life lessons. Since 1984, he and Janice spent their winters at their home in Nokomis, Florida, where they were members of Covenant Life Presbyterian Church in Sarasota, Florida. In Michigan, they attended Blythefield Hills Baptist Church in Rockford, Michigan, but their true membership is in Heaven. Larry was excited and comforted to be moving to his new residence in Heaven with his Lord and Savior, Jesus Christ. Larry is survived by his wife, Janice, son Dean (Martha) Reyburn and daughter Joanne (Joseph) Pann. His grandchildren Nathanael, Noah, Aaron, and Andrew Reyburn, Jessie, Jacob, and Jebedia Pann, and 11 great-grandchildren. His grandson Joseph Pann and older sisters Genevie Penrose and Florence Yurich preceded him in death. 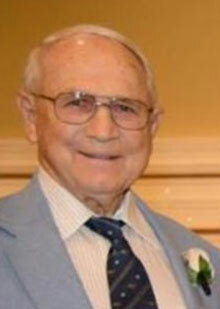 Visitation is 6-8 p.m. on Thursday, March 15 at Bliss-Witters & Pike Funeral Home, Cedar Springs. Visitation at Blythefield Hills Baptist Church in Rockford, Michigan at 10 a.m. prior to the 11a.m. Funeral on Friday, March 16, 2018. In lieu of flowers send donations to Faith Hospice of Grand Rapids or BHBC missionaries. 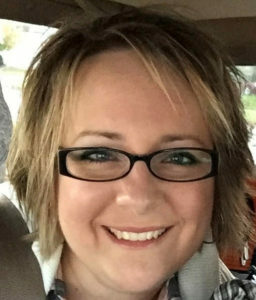 Dawn E. Thrasher, 40, of Rockford went to be with her Lord and Saviour on Sunday, June 4, 2017 at Mercy Health St. Mary’s. Dawn was born September 22, 1976 in Grand Rapids, Michigan the daughter of David and Elaine (Crater) Loveless. She graduated from Oakfield Baptist Academy and attended Baptist Bible College, Clark Summit, Pennsylvania. Dawn was an incredible and awesome hostess and was always bringing people together. She was devoted to her family and was a great mom, wife, daughter, sister and friend. She was a great gift giver and always smiling. Surviving are her husband, Wesley; children, Adrienne, Alegra, Caitlin, and Josh; parents, David and Elaine Loveless; brother, Mark (Jennifer) Loveless; grandmother, Marjorie Loveless; parents-in-law, Richard and Sandra Thrasher; brother-in-law, Paul Thrasher. The family greeted friends Wednesday at the Bliss-Witters & Pike Funeral Home, Cedar Springs. The service will be held Thursday 11:00 am at Blythefield Hills Baptist Church, 6727 Kuttshill Dr., Rockford with the family greeting friends at 10:00 am. Pastor Steve Welch officiating. Memorial contributions may be made to the family to help with expenses. Heather Wolfe, 47 of Cedar Springs, passed away on Tuesday, December 23, 2014 at home surrounded by her family. Heather was born August 2, 1967 in Greenville, Michigan, the daughter of Donald and Lynne (Grannis) Zank. She enjoyed being a wife, mother, working on the farm, raising calves and being a 4H Mom. She had worked for Cedar Springs Public Schools Food Service and Latch-Key Child Care for 16 years. She was very involved in East Nelson United Methodist Church and had been Treasurer, a Trustee and President of the Women’s Group. We will all miss her smile, infectious laugh and positive spirit. She will be a bright ray of sunshine from Heaven. Surviving are her husband, David; children, Brandon (Ashley), Bayley, Brock; stepchildren, Nathan (Lynette), Jessica, April; grandchildren, Carter, Brynlee, Dawson, Felix, Alexis; mother, Lynne Zank; sister, Heidi (Steve) Reed; brother, Hod (Kris) Zank; several nieces and nephews. She was preceded in death by her father. The family greeted friends Sunday, Dec. 28 at the Bliss-Witters & Pike Funeral Home, Cedar Springs where services were held Monday, Dec. 29. Pastor Herb VanderBilt officiating. Interment East Nelson Cemetery. Memorial contributions may be made to Tri-County Country 4H or Celebrate Recovery at Blythefield Hills Baptist Church.